The Closing Regional Workshop for the United Nations Development Account Project is organized by the United Nations Statistics Division (UNSD) in collaboration with Statistics Indonesia and the World Bank. 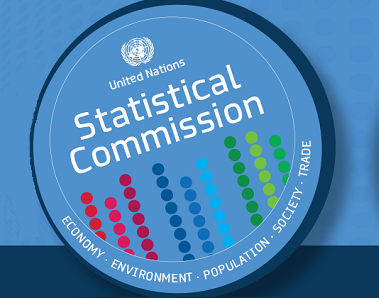 The project aims to enhance the capacity of National Statistical Offices of Asian countries in the implementation of the System of Environmental-Economic Accounting (SEEA). In view of the objectives of the project, the closing workshop will provide an opportunity for Indonesia and Malaysia, the project countries, to share their experiences on drafting of national plans for the implementation of the SEEA and the compilation of pilot accounts. Participants from the region will also be invited to share their experience and discuss lessons learnt on the SEEA implementation as well as how to best communicate and disseminate the pilot accounts to the relevant stakeholders, ensure uptake in policy decision making and how to scale up the implementation of the SEEA. On 14-17 April 2015, representatives from national statistical offices, Ministry of Environment or other line ministries dealing with forest, biodiversity or other environment-related issues, and staff from regional commission and international agencies that have or plan to have programmes on the implementation of the SEEA from Asia Pacific countries will meet in Jakarta to attend the regional training workshop on the SEEA Experimental Ecosystem Accounting. (iii) to support countries to set up a strategy and work plan for the implementation of the SEEA Experimental Ecosystem Accounting. The workshop by UNSD is organized as part of the project on “Advancing the SEEA in Pilot Countries”. As part of the project “Advancing the SEEA Experimental Ecosystem Accounting in pilot countries”, the United Nations Statistics Division (UNSD) in collaboration with the United Nations Environment Programme and the Convention of Biological Diversity is working with the National Statistical Office of Indonesia to develop a National Plan for advancing environmental-economic accounting in the country. This project aims to support policy decisions in Indonesia by strengthening the national statistical system and contributing to develop an information system for sustainable development based on comparable environmental-economic accounts, including ecosystem accounts. UNSD will visit Indonesia on 13-17 April 2015 to participate in a series of high-level bilateral meetings as well as a high-level general meeting with Indonesian officials and other relevant stakeholders, with the objective to obtain high-level endorsement of the National Plan and begin to foster institutional arrangements to implement the SEEA with the active involvement of all relevant agencies. UNSD is organizing a National CensusInfo Training in collaboration with BPS Indonesia. This training is intended to develop the national census technical teams’ capacities to adapt CensusInfo to its full potential as platform for disseminating census data. Participants will learn various processes involved in the adaptation of CensusInfo including preparation of CensusInfo template and database, standard report and profile templates, language translation and packaging the software. The sessions also include hands-on training on using CensusInfo User Interface and Database Administration applications, designing and creating templates and databases to house country-specific census data, learning various data administration utilities including importing census data to facilitate uploading of data into the CensusInfo system, and generating relevant tables, graphs, maps, reports and profiles for reporting purposes.